How fast can I make dinner, if I have the ingredients to hand? 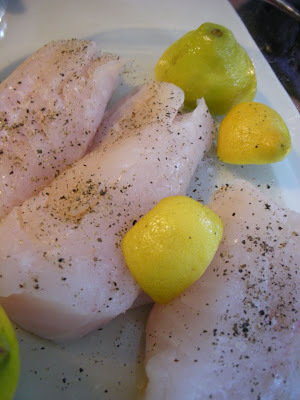 Like these gorgeous, fresh cod fillets? And a couple of lemons? I'll start by steaming some rice, and while that's cooking I'll pour a little wine into the dish and cover the fish with some greaseproof paper. 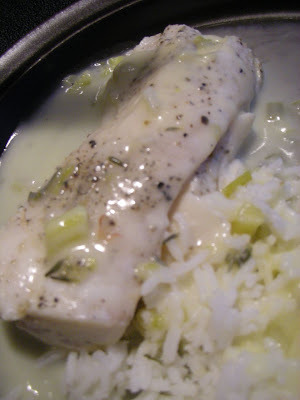 Into the microwave, 'cos that's one the the microwave does well, steamed fish fillets. It only takes a couple of minutes or so. Plate the dish and voila. Dinner. In almost as little time as it would take to watch the youtube videos I've posted recently - twenty minutes or less. In a saucepan, combine scallions and finely chopped herbs with the vermouth. Reduce to 2 tablespoons. Add the lemon juice and reduce again. 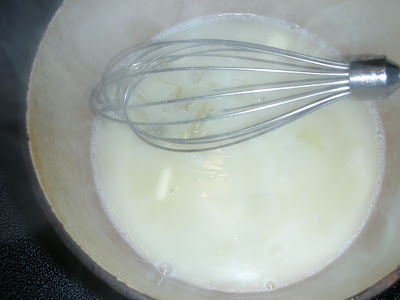 Remove from heat and whisk in one pat of butter at a time until all the pieces of butter are combined. Add salt and pepper to taste.